Adults of most species of manuka beetles will feed on the young foliage of these bushes. Damage patches may feel soft underfoot. Several other beetle species have larvae resembling manuka beetle larvae (especially the common New Zealand grass grub) and their feeding can appear identical. 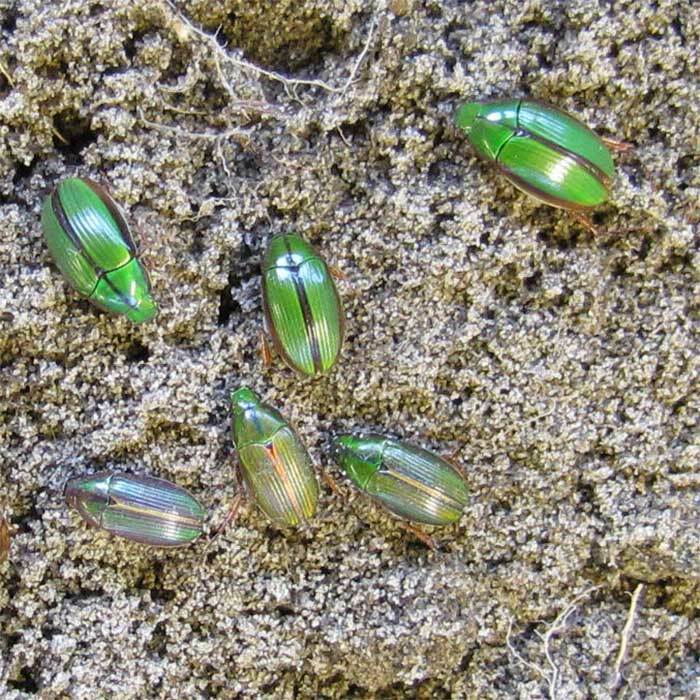 The larvae of such beetles are very similar and expert advice may be required to correctly identify them. 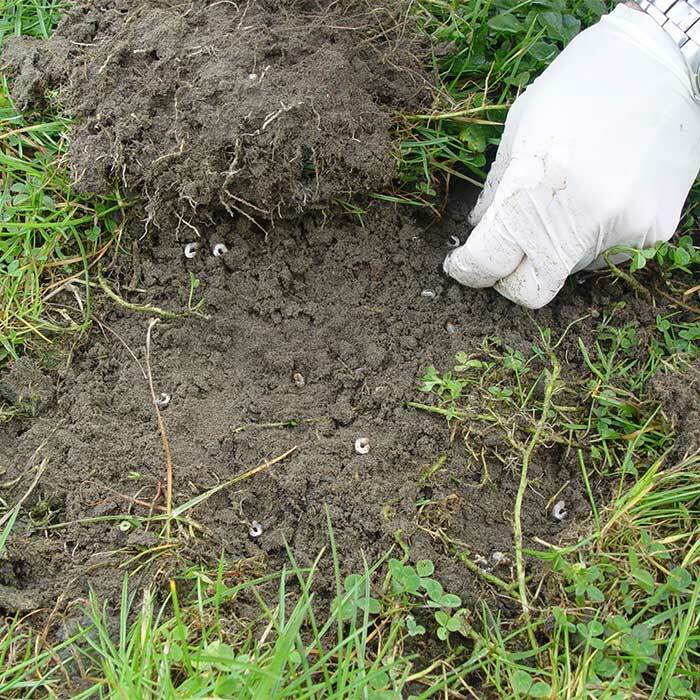 Manuka beetle populations can be naturally attacked by several diseases which commonly only persist in a pasture if there are some grubs present. 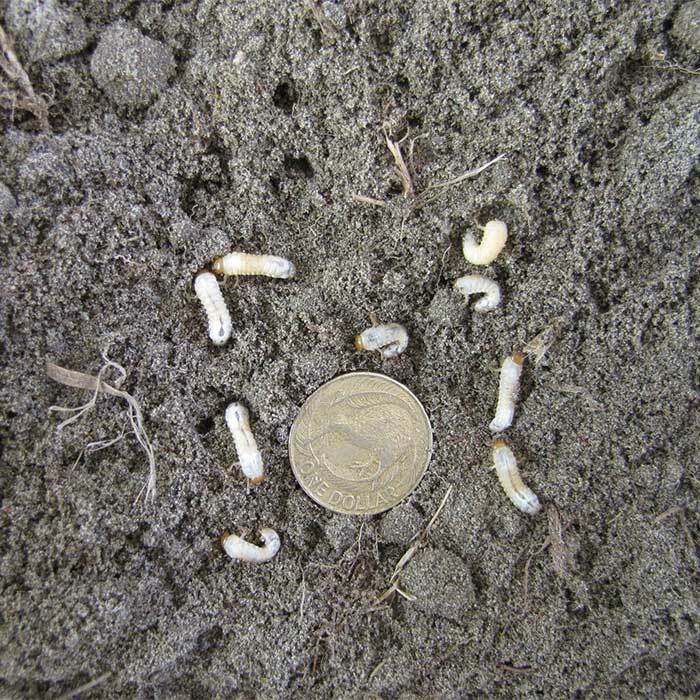 Research with the native New Zealand grass grub has shown that population outbreaks, and therefore damage to pastures, can occur when the grass grub/disease associations are disrupted and it is highly likely that the same applies with manuka beetle. 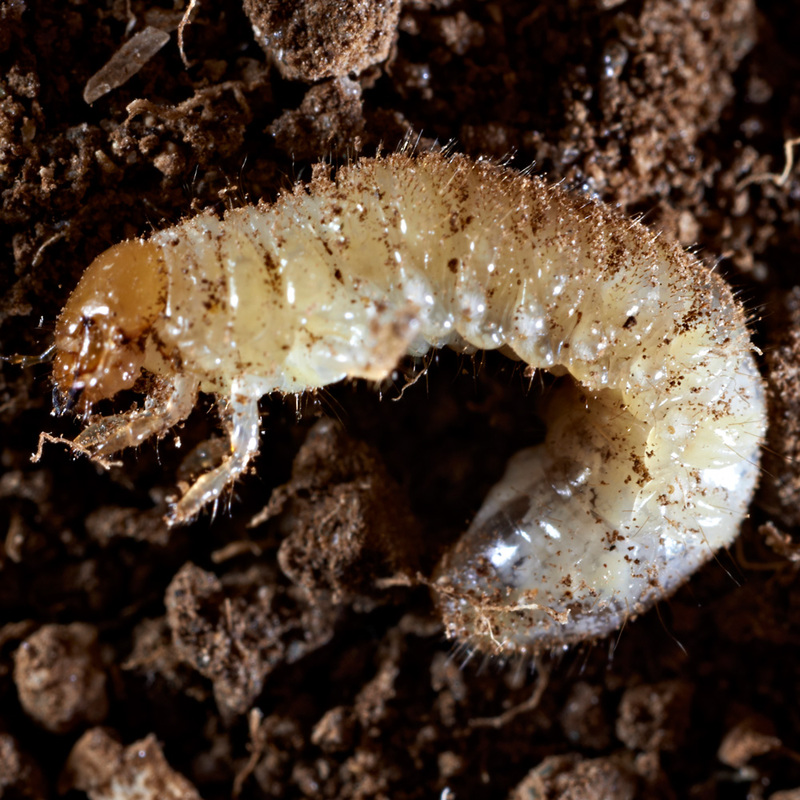 Cultivation or the use of insecticides have been shown to cause lower levels of disease in subsequent grass grub populations. Pasture renovation by direct drilling appears to favours retention of diseases in the soil reducing likelihood of pasture damage. 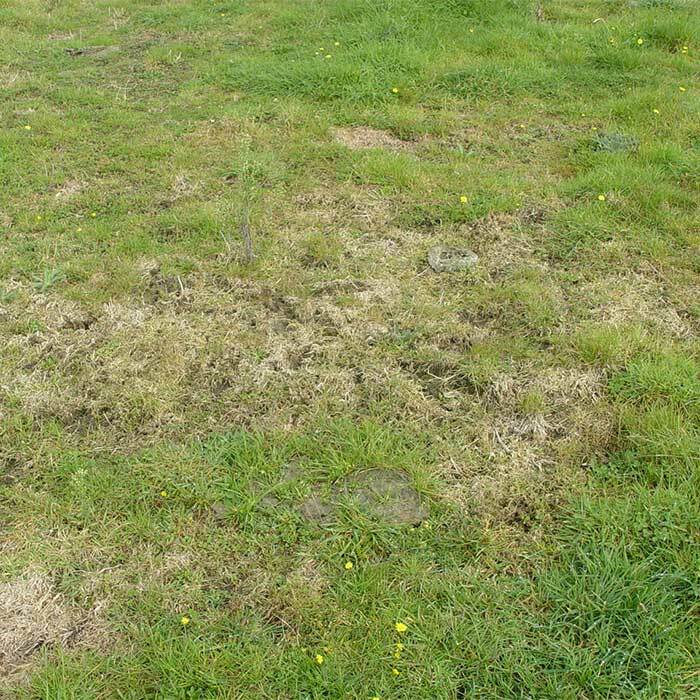 Patches of heavily infested pasture appear yellow relative to undamaged pasture and plants are easily pulled from the soil by stock. Damaged areas are easily pugged. Significant feeding damage by the beetles has only been noticed on manuka trees and bushes. There appear to be no reports of serious feeding on brassica crops or on exotic trees or vegetables. 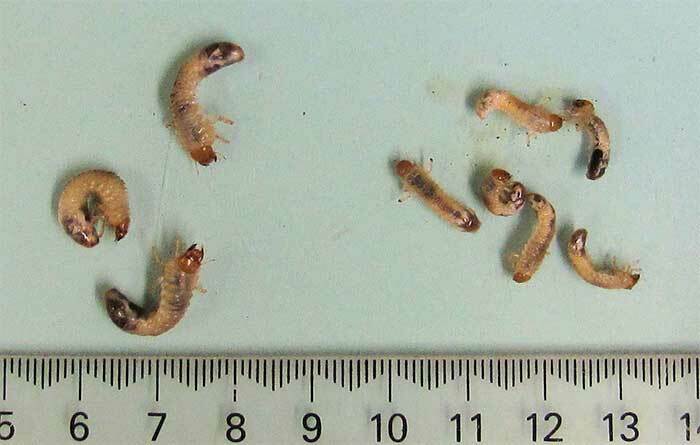 Densities greater than an average of 12 larvae per spade square (300/m2) may cause damage. Below are a range of chemicals registered for control of the common New Zealand grass grub larvae in pasture. Talk to your farm consultant, industry representative or the New Zealand Agrichemical Manual for more information about chemical control. For specialist information about manuka beetle contact Richard Townsend at AgResearch, Lincoln.